This month you can certainly say you can enjoy everything that the Great British Summer has to offer. Farming at this time of the year has it`s bonus points too, using this precious time to get farm jobs completed in the early light mornings before the sun starts to break through and the heat turns on. More calves have been born and what better start in life can you give them than nurturing your own straight out onto the fields. 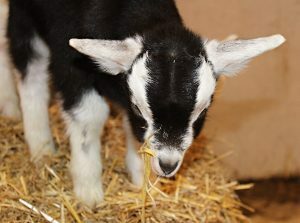 Our spring baby goats are in full swing playing in the paddocks and in the next few weeks we will hopefully see more ‘Baby Kids’, as our goat paddock has recently turned into a maternity ward. Our friendly KuniKune pigs ‘Mashed Potato’ and ‘Thimble’ are doing very well, eating every piece of food they’re given and doing what pigs do, they will be in their element being fed every day by our lovely visitors when schools out! Our alpacas, donkeys, goats, cows and new baby calves are great to see and the farm park is a great place to relax on those balmy summer days. The farm park will be open every day 11am-3pm from 21st July -2nd September, so we are preparing for six weeks of summer fun here on the farm! Beetroot, salad leaves, aubergines, courgettes, strawberries, raspberries and cherries are in the farm shop this month, with such plentiful produce around the farm and from other local producers, it’s no wonder we love the summer season for food. 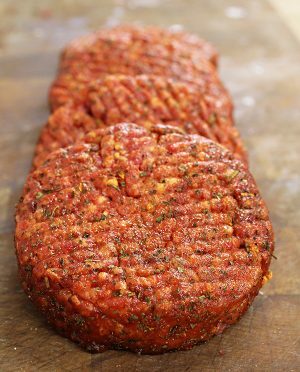 Being blessed with so many warm sunny days this year and with world cup fever barbecues in full swing, our butchers are working hard preparing the best meats for the grill. 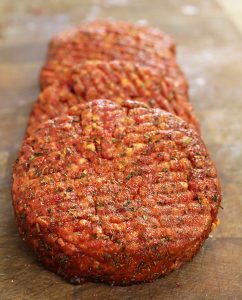 Marinated steaks, chicken & chorizo and duck kebabs are just some of the delicious finds from the butchery counter, or if you’re on a camping trip, don’t forget to pack some farmhouse sausages and home-cured bacon, our deli also provides home made quiches, cold meats and a selection of fine cheese, perfect for the happy camper. Sit back and relax at Granny Smith’s Tea Room with a delightful array of seasonal dishes. 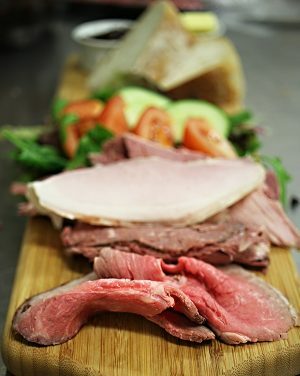 Our specials board changes with the seasons and this month we are serving refreshing Caesar salads and our specialty ‘meat platter’, served with our very own grass fed beef. ‘Pimm’s o’clock’ is a good way to relax and un-wind, whether your sharing with friends or simply want a glass to yourself, laced with fresh fruit and mint it’s the perfect summer tipple. Why not book in for an afternoon or high tea and soak up the weather from our terrace. Open seven days a week Foxholes Farm is the place to be this summer. On behalf of all the team here at Foxholes Farm, we look forward to seeing you this Summer!